POM has a small water absorption, generally 0.2%-0.5%. Under normal circumstances, POM can be processed without drying, but it must be dried for wet materials. The drying temperature is above 80 °C and the time is more than 2 hours. The specific conditions should be based on the supplier's data. The proportion of recycled materials is generally not more than 20-30%. However, depending on the type of product and the end use, it can sometimes be up to 100%. In addition to the requirement that the screw has no stagnant area, the POM has no special requirements for the injection molding machine, and generally can be injection molded. 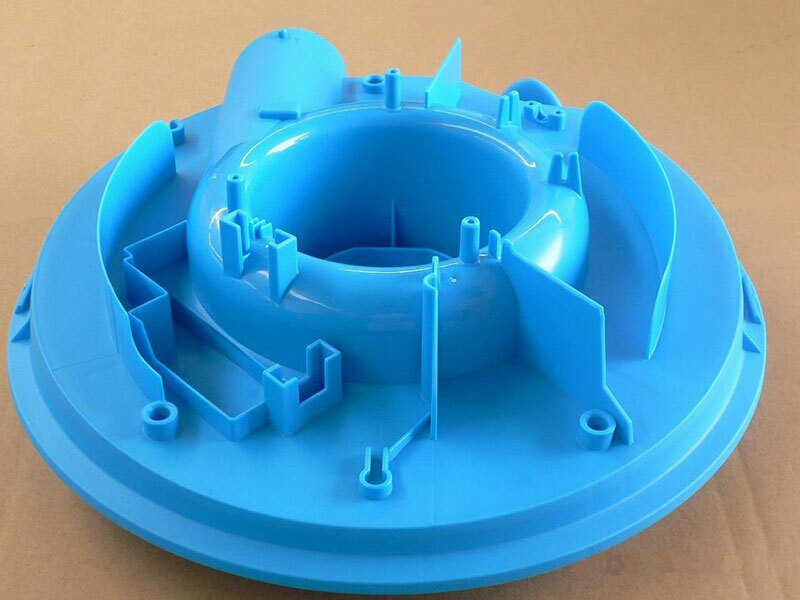 The common mold temperature is controlled to 80-90 ° C, the runner diameter is 3-6 mm, the gate length is 0.5 mm, the gate size depends on the thickness of the rubber wall, and the circular gate diameter should be at least 0.5-0.6 times the thickness of the product. The width of the rectangular gate is usually 2 times or more of the thickness, the depth is 0.6 times the wall thickness, and the draft angle is between 40' and 130'. It is common for the medium speed to be too fast, too slow to produce ripples, too fast and easy to produce grain and shear overheating. 1. POM is also a typical heat-sensitive plastic, which will be seriously decomposed at 240 °C. At 210 ° C, the residence time should not exceed 20 min; even at 190 ° C, the residence time should preferably not exceed 1 h. Therefore, when molding, the lower molding temperature and shorter heating time should be selected as far as possible to ensure the fluidity of the material. 2. POM has a distinct melting point, a homopolymer POM of 175 ° C and a copolymerized POM of 165 ° C. At the time of molding, the distribution of the barrel temperature is 190 to 200 ° C in the front stage, 180 to 190 ° C in the middle stage, 150 to 180 ° C in the rear stage, and the nozzle temperature is 170 to 180 ° C. For thin-walled products, the barrel temperature can be increased as appropriate, but not more than 210 °C. 3. POM has low hygroscopicity and the resin may not be dried before processing. If necessary, it can be dried at 90 to 100 ° C for 2 to 4 hours. 4. The melt viscosity of POM is sensitive to shear rate. Therefore, in order to improve the melt fluidity, it is not possible to increase the temperature alone, but also to increase the injection rate and the injection pressure. For large gates, thick-walled short-flow processes, and small-area products, the injection pressure is 40-80 MPa; the general product is about 100 MPa. Small gate, thin wall long process, large area products, high injection pressure, 120 ~ 140MPa. 5, the mold temperature is usually controlled at 80 ~ 100 ° C, for thin-wall long process and complex shape of the product, the mold temperature can be increased to 120 ° C.
6. High crystallinity makes the molding shrinkage rate high (2~2.8%), and the wall thickness is prone to defects such as dents and shrinkage. Description: The molded part has the correct color tone but occasionally spots or streaks are visible. A. The degraded plastic in the last production operation is solidified in the gun screw and the rubber ring. -- Clean the injection unit with a cleaning mixture or high molecular weight acrylic. B. The plastic is trapped in the “* corner” or no-flow area of the injection device, so that it stays too long at high temperatures. ————Removing the barrel and screw to thoroughly clean the surface in contact with the molten polymer; checking whether the nozzle is correctly located in the barrel; replacing the opening and closing nozzle with an open or straight type nozzle; Whether the head is broken. C. The speed at which the plastic enters the mold cavity is too fast to cause excessive shearing of the aggregate. --- Reduce the injection speed. D, the temperature of the melt is too high. ————Reducing the temperature of the barrel; checking whether the flow rate of the cooling body is sufficient for the hopper locking device, adjusting the flow rate if necessary; reducing the cycle time to increase the plastic passing through the injection device. A. Oil stains and oil appear in the mold. --- Remove the mold, especially the mouth, and clean it. B. There are too few gates. ————— Increase the size of the gate. C. The wall thickness of the injection molded parts is too thin, so that the plastic cannot flow sufficiently without degradation - check the correctness and consistency of the wall thickness.